What's New for the 2019 Honda Fit? The 2019 Honda Fit is no misfit. 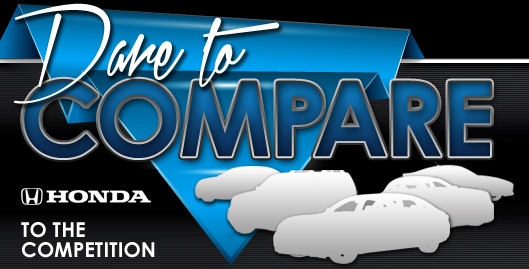 The economically priced car has captured its fair share of the compact car market and is priced to move. Honda has upgraded their Honda Sensing safety suite across all fit models to include automatic high beams. This feature increases visibility to prevent accidents by ensuring the driver is neither blinded by glare nor hunting to see in the dark. The only other exterior model change is the exterior paint option of White Orchid Pearl being phased out of the Fit line for the new Platinum Pearl White. If you love pearl white paints, but that White Orchid Pearl seemed a little too flowery for you, you'll be thrilled by the Platinum Pearl. The Fit has retained its infotainment connectivity, auto-headlights, LED tail lights, liftgate spoiler, and rear view camera, as standard equipment on all models. An economical six-speed manual transmission is standard equipment on everything but the most premium model. The Constant Velocity Transmission (CVT) is an upgrade option available across the board. 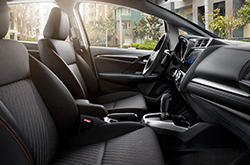 The Honda Sensing technology is worth the extra bread for sake of safety assurances. It may lower your insurance premiums and help retain the long-term resale value. 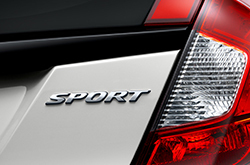 If you want to step up your game, you can invest in the Fit Sport. This sports package comes with a panoply of front, side, and rear underbody spoilers. It promises to up the ante of your audio game with Apple CarPlay and Android Auto. If you like the power accessories, the EX package comes equipped with a power moonroof and variable intermittent windshield wipers. If riding in comfort is your game, the top trim package of the EX-L will bump you up with heated front seats, leather-trimmed upholstery, and an optional GPS navigation system. The 1.5L 4-cylinder engine cranks out a modest 130 horsepower and 114 pound-feet of torque. The fuel economy of the CVT makes the grade at 33 (city) and 40 highway miles per gallon. As a testament to how fuel-efficient automatic transmissions have become, the manual squeaks by with a comparable 29 city and 36 highway mpg. Join us on a test drive today to find out what the 2019 honda fit is capable of. The best thing any driver can do on the road is avoid other drivers and stay alert. Honda Fit drivers can manually avoid most accidents by keeping safe following distances, concentrating on the road, and making adjustments for awkward situations and inclement weather. If Honda Sensing comes into play despite these efforts, it is worth its weight in gold if it spares anyone the lash of an auto injury. 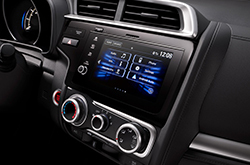 Honda Sensing has incorporated four distinctive functions. The Lane Assist is ideal for drivers who are guilty of tracking in the event of a distraction. Adaptive cruise control has been developed to give the driver greater control in long drives in variable traffic conditions with its one-touch corrections. Forward collision control takes input from the lane assist camera to provide warning and apply brakes in the event of an imminent frontal collision. Finally, Collision mitigation works in the same vein to autonomously apply brake pressure to prevent or mitigate imminent collisions.